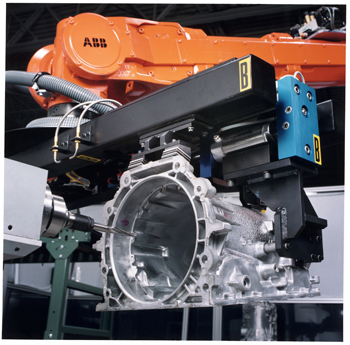 ABB Robotics is a leading supplier of industrial robots, modular manufacturing systems and service. A strong solutions focus helps manufacturers improve productivity, product quality and worker safety. ABB has installed more than 200,000 robots worldwide. 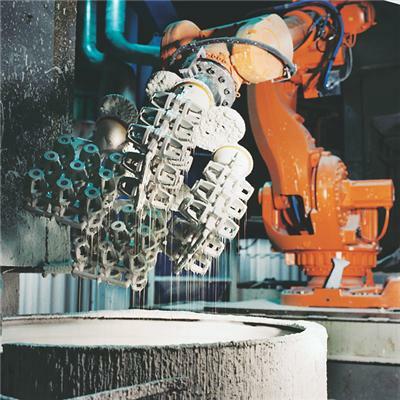 Robots eliminate weak spots in the foundry process chain by providing increased productivity, flexibility, quality&workplace safety.ABB Foundry robots are completely sealed and have a two-component high-resistancesurface painting and IP67 certification. These robots are ready to meet the challenges of hot metal drops, heat and lubricants found in modern die-casting foundries.Main applications:spraying, insertion, pouring&ladling, extraction, cast cleaning and machining incl.blasting, trim press tending, sawing, chiseling, grinding, milling, sawing.